"In fact, Savios music sounds something like a cross between the compositions of Pujol and Sagreras. These studies cover many of the basic technical devices generally found in Romantic guitar music& This group could provide useful alternatives to the better-known studies." "A most appealing publication & classically oriented but very romantic. 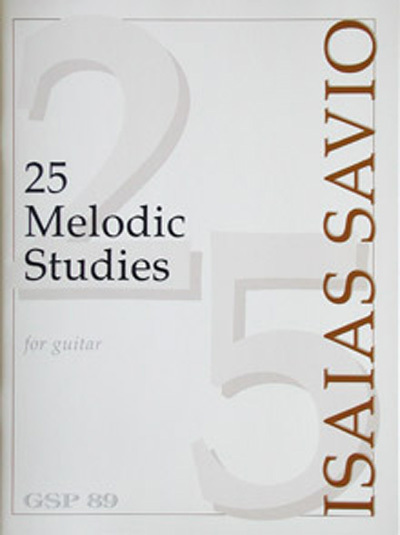 One of the best sets of studies for the guitar repertoire. Highly recommended." "These studies are varied and full of talent&extremely interesting musically, going from miniature to larger compositions. The technical repertoire for the guitar is enriched by this very welcome collection of pieces."